What Is The Appeal Of Anime? 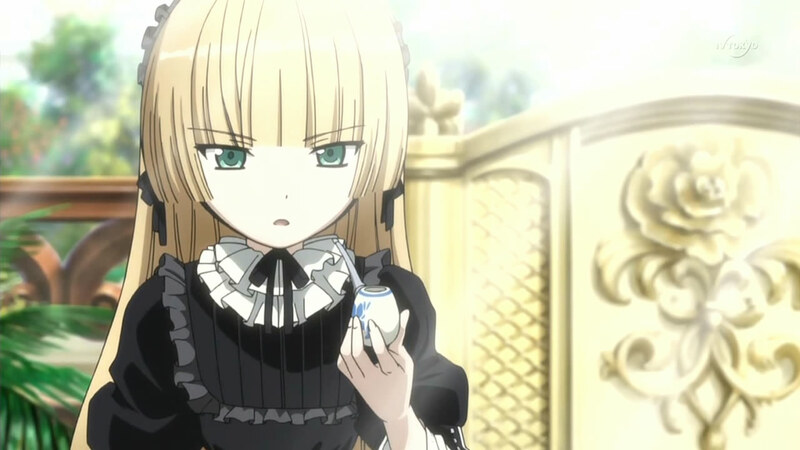 There are two Gosick light novels available in English, and they’re likely to be the only two unless fans get to work on the others. I bought the first when it came out because it was translated by Andrew Cunningham and he enjoyed it—two things that guarantee it’s good. After that book, Tokyopop cancelled the series, and it looked like there’d never be any more Gosick in the US. Imagine my surprise when two years later I see volume two on the shelves at Barnes & Noble. The second book has no translator credit (it literally says “Translator: “). I asked Cunningham about this, and he said that he’d translated the second book already before they cancelled the series, but had heard nothing about the release. I can’t imagine that they’d continue with another translator (nor do I think it’d be a good idea since Cunningham is the best light novel translator). I rather enjoyed the first episode of Working! !, but I could see how others might not have cared for it, and having read the 16 currently translated chapters, I can tell exactly why. As a manga, there are some major differences from the anime, but I will clarify upfront that both versions have definite advantages, and I recommend both, especially if the show reconciles some of the differences as it continues (only ep so far, after all.) That said, I think that if the anime seems alright to you but just doesn’t quite cut it, you may enjoy the manga much more. Anime is Madness, or is it Sanity? In one of my favorite posts I’ve ever written (not necessary for understanding this post), I explained (through Soul Eater) my theory that everything in the human psychology comes back to the pure desire to live and to procreate. I then went on to explain that when you loose the fear of death and procreation, that is ‘madness.’ (there’s more details in the post if you’re interested, but you can understand this post just utilizing these terms.) In our current world, I think that everyone has pieces of madness and pieces of their primal desires – our society has no vision of these things, because we have judged humanity and the world on different terms (good and evil, for example) and we have both demonized as well as justified elements both of primal desire and of ‘madness’ as I put it.